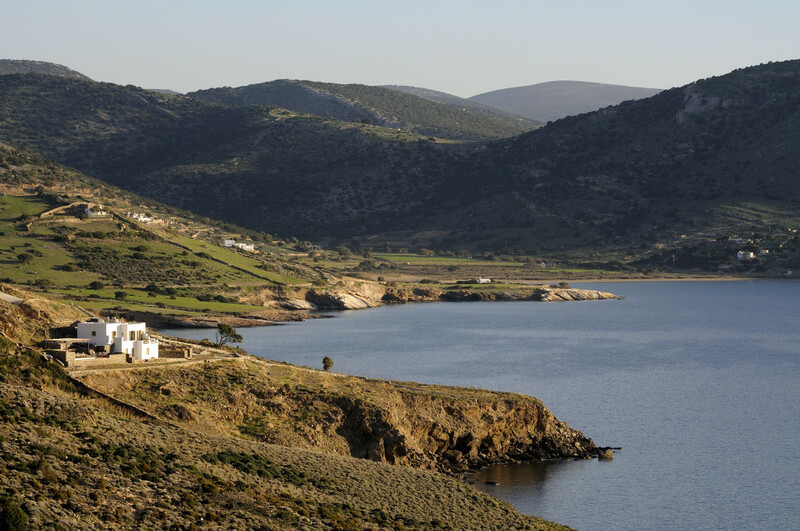 Koufonisia and Schinoussa – the Lesser Cyclades. Yesssss! Our photographer just sent in the photos she took from the new house on Naxos – and she managed to get there on a sunny day as well even though it was December. It looks stunning and Evi & I can’t wait to go and visit it in the spring. Naxos is a beautiful, fertile, mountainous and rather wealthy island and the Naxiots earn their living from agriculture almost more than from tourism, so once you get away from the port, you discover traditional island Greece – and excellent fresh local produce to boot. Classicists can go searching for traces of Ariadne, left here by Theseus after she helped him to escape from King Minas on Crete, and the island is also the setting for Strauss’s wonderful “Ariadne auf Naxos”. If you can get hold of Mary Renault’s “The King must die” for an evocative re-telling of the Theseus story, do so – it contains amongst other things, a stark warning about what happens to girls who let their hair down too far when on the razzle on Naxos……of no relevance whatsoever to Five Star Greece clients.